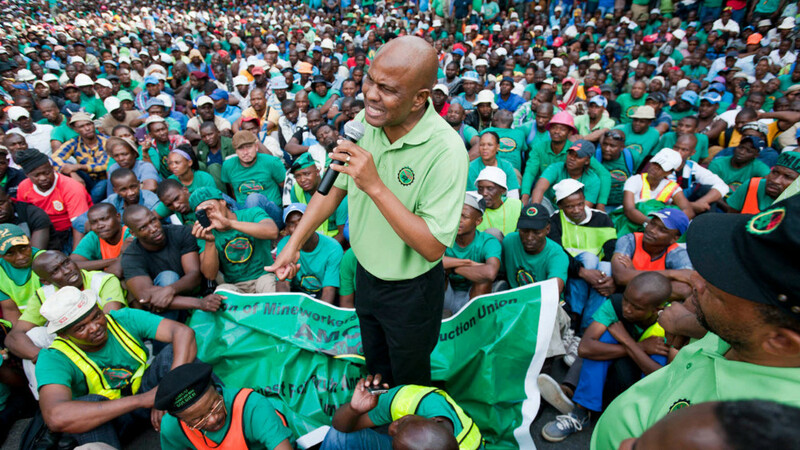 Most AMCU members work in the fossil fuel sectors, namely, mining and construction. They do this work not by choice but because capital, with the support of the colonial regime and then the Apartheid state dispossessed them of their own sustainable livelihoods in the countryside. Risking death everyday by going underground or working under precarious conditions in the mining and construction sectors does not constitute decent work. And in most cases our members don’t even receive a living wage for the dangerous work that extracts wealth for the mining houses. They endure these conditions because they are compelled to if they are to give their children and families a different future. Our members do not often have the luxury of being able to engage with the big issues affecting humankind at the beginning of the 21st century. Understanding the working of the mining sector, the Labour Relations Act is challenging enough for our members. For most of them, just surviving each day is a struggle that denies them the choice of engaging in issues of climate change and the ecological crisis caused by mining and the fossil fuel industry. Yet, as the current drought in the Western Cape and other parts of the country show, as well as the droughts we have recently experienced in the northern regions of the country, climate change is real and is having a devastating effect. It is poor and working class people – because they have been disposed of their wealth, live in informal settlements or townships with no or poor services, inadequate housing, dysfunctional health services – who are made to bear the brunt of the climate and broader ecological crisis. In eMalahleni, for example, it is our members who have to use water polluted by heavy metals and acid mine drainage, breathe in air that the authorities, including Eskom, know does not meet even South Africa’s very low clean air obligations, with consequential damage to their health, including, death, plant their vegetable gardens in soil badly polluted, walk to work on land under which fires from abandoned mines cause sink holes and endanger our members safety. The middle classes can escape some if not most of these dangers because they have money. We do not want to be in this catastrophic dilemma of having to choose between jobs or life. As AMCU, we support the need to move as rapidly as possible to a low carbon economy. We know as well as most that we must decarbonise the energy sector and produce electricity from wind and solar. We know we must shift from coal-fired power plants, which are currently responsible for 45% of our country’s very high level of greenhouse gas emissions. We agree with several other trade unions that have expressed concern with government’s policy towards addressing climate change through its privatised renewable energy programme. If we leave it to the market, we will not get to the roots of the climate and environmental crisis and workers will be discarded in the existing mining and energy sectors. We only have to look at the dormitory towns where mining once was profitable to see our future. As AMCU, we demand therefore that government ensures a just transition to a wage-led low carbon economy, where renewable energy both becomes the main energy source and the basis for affordable electricity for all. We demand an end to the privatised renewable energy programme known as the REI4P. (Renewable Energy Independent Power Producers Procurement Programme) to be replaced by a state driven and socially owned renewable energy sector. Renewable energy should not be used as another vehicle for exporting jobs to foreign countries that will only benefit the few connected ones. It should further not be used as the second chapter of so called state capture. Instead, it should be an opportunity for radical economic transformation. 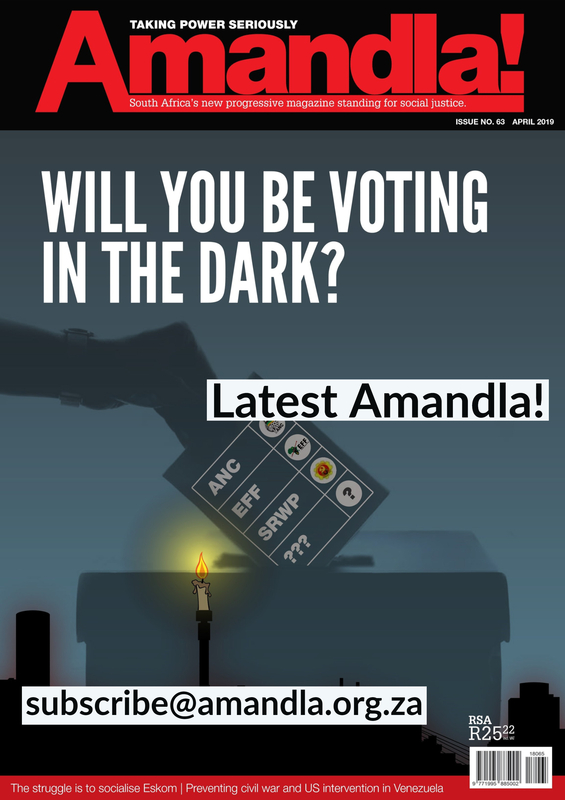 To this end, we call for an urgent Summit to involve labour, Eskom and government to agree the concrete terms of the transition from BOTH coal fired power and privatised renewable energy. We call of the Departments of Trade and Industry and Economic Development to formulate an industrialisation plan, which ensures that we produce the renewable energy inputs in South Africa and through labour intensive methods of production. 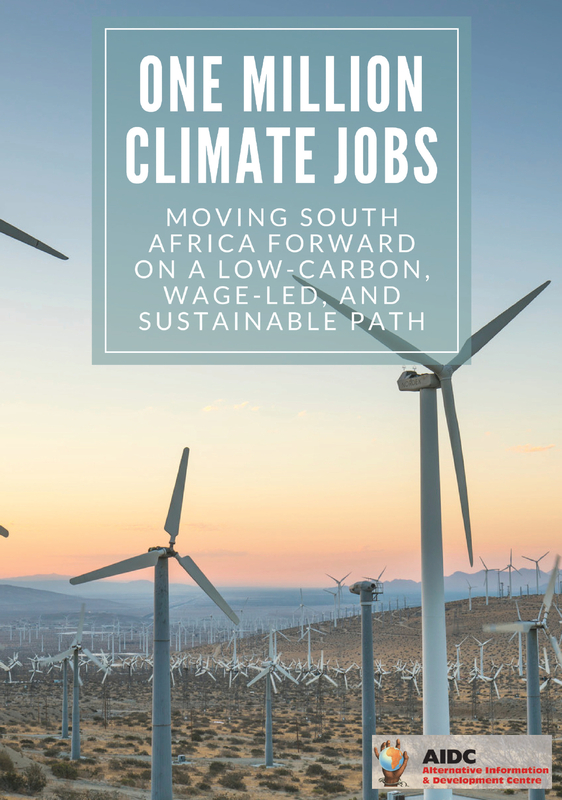 We agree with civil society that this approach offers the possibility of creating many millions of climate jobs, that is, decent jobs that help reduce our emissions of greenhouse gasses. We refuse to be made to act like ostriches. There is a climate and ecological crisis. We have a horrific jobs crisis. We need solutions to both. But we need a just transition where no worker loses his or her job without either being skilled and transferred to another industry or is compensated for the rest of their working life. As workers we will not bear the brunt of a crisis we had nothing to do with, except by virtue of the exploitation of our labour.